Back on August 13th our Throwback Thursday was The NHL All-Mullet Team. 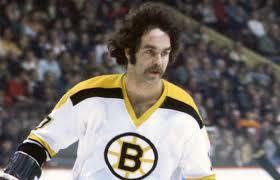 For this week’s Throwback Thursday BostonPucks.com is going to pay tribute to the best mustaches in hockey history. There is nothing better than a little “Lip Luggage.” Way before it was cool to grow a mustache for “Movember” these guys rocked the style without a care. I do not think it is a coincidence that a lot of the guys on this list were tough SOB’s. 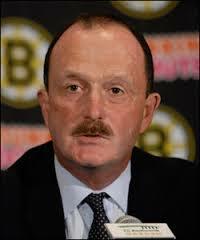 So without further ado, here is the BostonPucks.com “All Mustache Team”. Dave Shultz was nicknamed “The Hammer.” He might be one of the most feared players in NHL history and he was able to do it with a sweat Fu Manchu. Shultz played 9 years in the NHL racking up 2294 penalty minutes. He was the Bully for the Broad Street Bullies. If you look closely there might be some cocaine on Sanderson’s mustache. Sanderson was a talented hockey player with a big personality. In 1972 he was the highest paid athlete in all sports. Sanderson had some good years with the Bruins. He had the primary assist on Bobby Orr’s Stanley Cup winning goal in 1970, now known as “The Goal.” However his career was cut short by booze, drugs, and injuries. He totaled 202 goals and 250 assist for his NHL career. 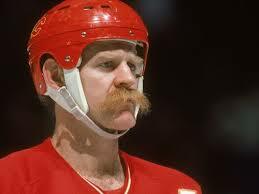 There is not a whole lot you can say about Lanny McDonald’s mustache. It was just awesome. McDonald was inducted into the Hockey Hall of Fame in 2010. My question is “what took so long?”. His career ended in 1989 with a Stanley Cup victory with the Calgary Flames. His mustache alone should have it’s own wing at the Hall. McDonald had 1006 points (500 goals and 506 assists) in his NHL career. He was one of the great leaders of his generation in the NHL. The long time Montreal Canadian was no stranger to facial hair. It was either a mustache, or the full beard. 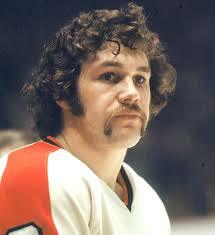 You can even find images of Robinson going with the Fu Manchu. Robinson went to 20 consecutive Stanley Cup Playoffs winning it all 6 times. What is amazing about Robinson going to 20 consecutive Stanley Cup Playoffs is he played 20 seasons, so every year he played in the NHL his team went to the Playoffs. The defenseman scored 207 goals and 751 assists during his career. 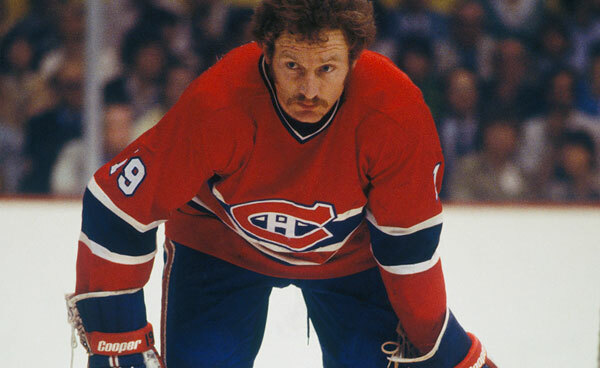 Claude did not have a long successful NHL career like the rest of the players on this list, but with a mustache like that you cannot deny him making the “All Mustache Team.” Only the true elite can have a stache and bangs completely on the same page like Claude in this photo. The current Bruins Head Coach played 15 games in the NHL racking up one assist, but I am sure it was an amazing play on his part. Claude did manage to get 25 minutes in penalties though. According to hockeyfights.com he did have one fight and it was against Rick Tocchet on February 1, 1986. 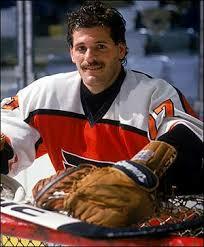 Before Hextall was the GM of the Flyers he was a legendary goalie for the team. 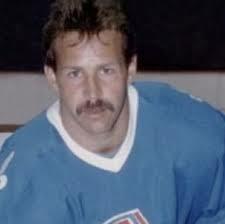 He was known for his temper and two-hand tomahawk chopping opposing players who where in front of the net. He even was the first goalie to score a true goal and it was against the Bruins. The Bruins had pulled their goalie and Hextall shot the puck the length of the ice to score into the empty net. Hextall had over 100 minutes in penalties in each of his first three years in the NHL. 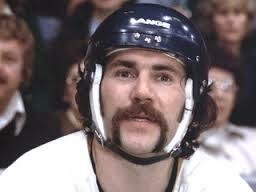 You have to rock a killer mustache to be able to get away with that kind of behavior on the ice. Did Dave Lewis always look confused or was it just me? The Lewis hiring was Peter Chiarelli’s first mistake as Bruins GM. He made up for his mistake by quickly firing Lewis after only one season and hired fellow “All Mustache Team” member Claude Julien. Maybe Peter liked guys with mustaches. Peter has been known to wear a little “Face Lace” every once in a while. Lewis went 35-41-6 with the Bruins during the 2006-2007 season and has not been seen behind an NHL bench as a head coach since. Upton was a long time minor league player, but gained fame from winning the Federation League Championship with the Charlestown Chiefs. Rumor has it when Upton was informed the Chiefs were folding at the end of the season he was heard saying, “Chrysler plant here I come.” Upton is also famously known for “whipping it out” while doing a celebrity fashion show that Chiefs cheap GM Joe McGrath made the players participate in.